* The shaving balm is meant to be either a preshave or an aftershave. * With a consistency between pudding and hair conditioner, it is slick and goes on smoothly. * As a preshave balm before shaving cream/soap, the razor glides, and I had a really smooth shave. * Although it contains mango kernel oil, the balm smells more like a fruity hair conditioner rather than just like mango. * As an aftershave, it leaves the skin very moist, almost making it unnecessary to use a moisturizer. Summary: When I’m shaving, either in the morning right after waking up or in a quick rush after a workout, I’m not always the most conscious of what I am doing. I realized this when one day while testing, I applied the balm as a preshave and then just started shaving without putting on shaving cream. The results were really good. Although marketed as either a preshave or an aftershave, this balm works well as an all-in-one product like Portland General Store Racer – where it’s the preshave, shave, and aftershave. I tried it a couple of times like this and each time, I had a great shave and my skin felt moisturized afterwards. The more gel-like consistency and fruit smell makes it feel more summer-friendly than Racer (which is thicker and woodier – more appropriate for fall and winter). You will definitely want to get a sample and test for yourself, but I highly recommend it because I had a really good experience with it. For the hotter temperatures of spring and summer, this balm is a great choice for an all-in-one shave product. 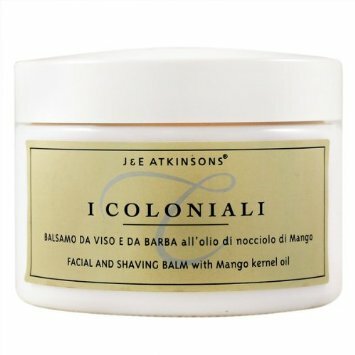 I Coloniali products are available from Italian Barber, Bullgoose Shaving, CO Bigelow, and Amazon. Disclaimer: Sample provided by publicist for review. Image courtesy of Amazon website.